7/8 size BBb tuba includes clear lacquer finish, mouthpiece, and a ABS Case with wheels. 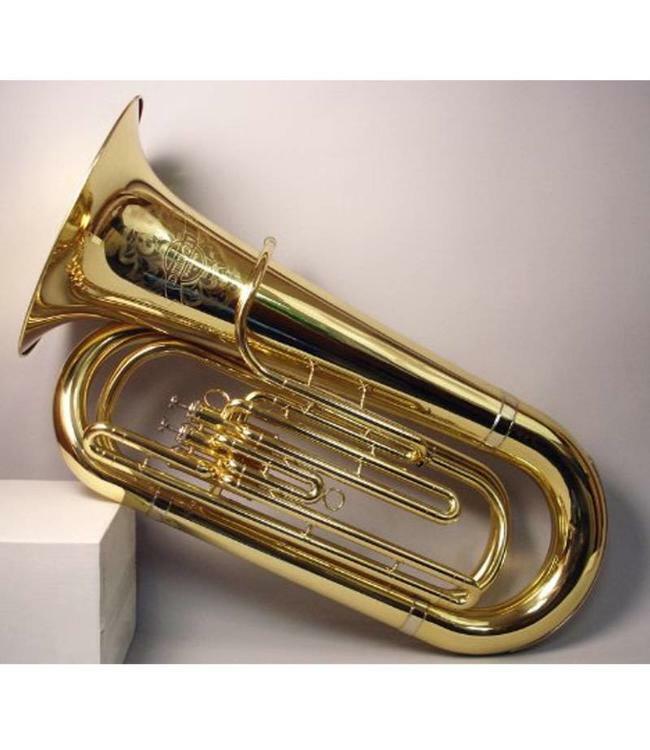 This easy to handle BBb tuba is 34” tall and has a 15” diameter upright bell. The 3 top action Monel piston valves have a bore size of .640”. A very easy to play tuba with good intonation.